Many businesses view the issue of compliance as merely a nuisance, and the fines that result simply as the cost of doing business. Effective August 1, this “cost of doing business” will rise considerably thanks to a new regulation that includes a 78% penalty increase. 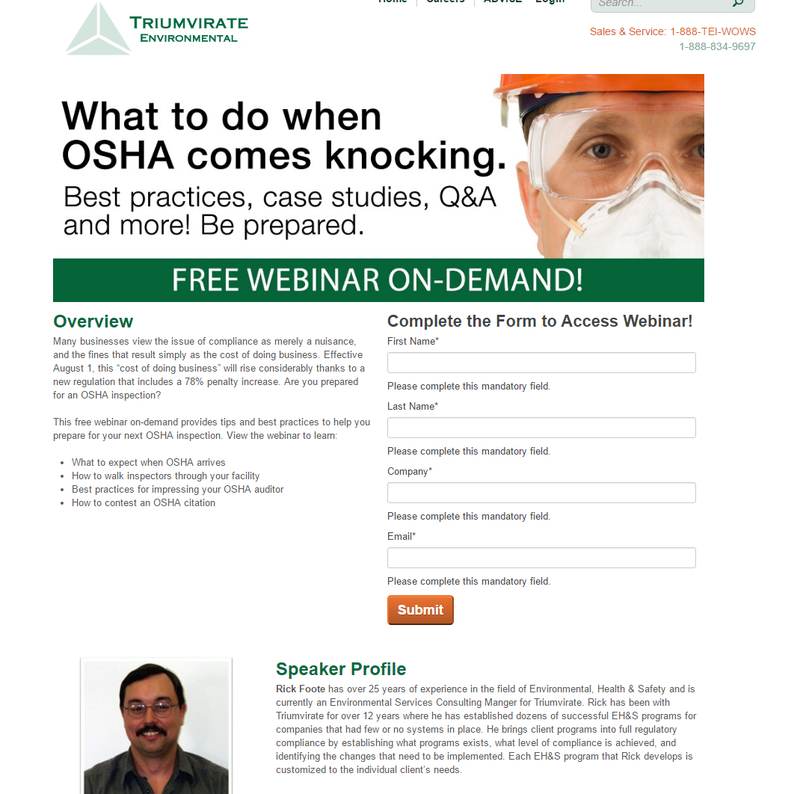 Are you prepared for an OSHA inspection? Rick Foote has over 25 years of experience in the field of Environmental, Health & Safety and is currently an Environmental Services Consulting Manger for Triumvirate. Rick has been with Triumvirate for over 12 years where he has established dozens of successful EH&S programs for companies that had few or no systems in place. He brings client programs into full regulatory compliance by establishing what programs exists, what level of compliance is achieved, and identifying the changes that need to be implemented. Each EH&S program that Rick develops is customized to the individual client’s needs.